Burgenland, Austria's easternmost province, is a border region that was formed in 1921 from German-speaking lands formerly belonging to Hungary. Burgenland has been called "the vegetable garden of Vienna" as it is a highly fertile agricultural region whose many vineyards account for over a third of the wine produced in Austria. Nearly a third of the Burgenland area is made up of forests, which hold much wild game that often make it into local dishes. The rest of the region's terrain resembles the Hungarian plains, rather than the majestic alpine scenery that Austria is famed for. In the summertime, many visitors flock to the region's lakes, especially Lake Neusiedl (Neusiedler See). Austria's largest lake, Neusiedl offers excellent facilities for sailing, water sports, and other outdoor activities. Rust, a summer resort on Neusiedl, is a popular place for sailing, boating, and bird watching (especially for the storks that nest there). Another attractive spot for bird watchers is Seewinkel National Park, a lakeside haven that features a variety of storks, egrets, ducks and geese, not to mention rare flora. 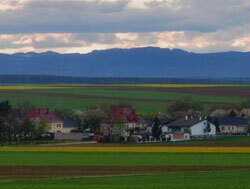 Northern Burgenland, with its convenient location close to Vienna, is the better developed half of the region. Despite this, property in this part of Burgenland tends to be reasonably and moderately priced. 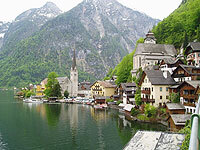 In fact, among Austria's provinces, Burgenland stands out for having the lowest average apartment rental prices. Burgenland's provincial capital is Eisenstadt, a city closely associated with Josef Haydn, as the famous Austrian composer once lived here, and his former home is now the Haydn-Haus Museum.